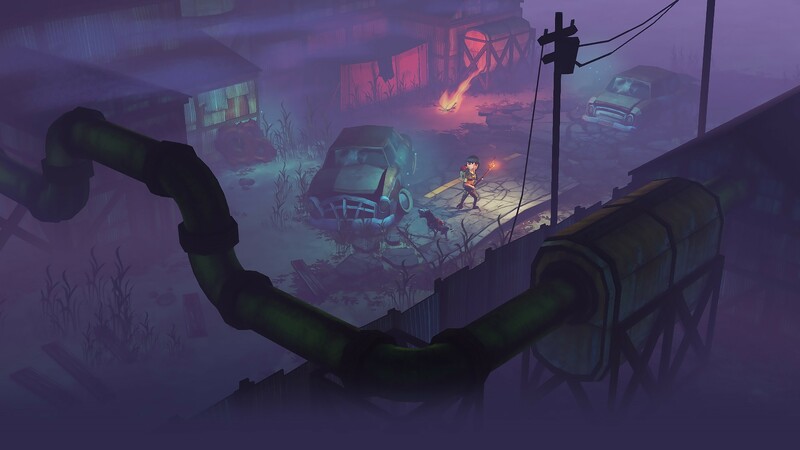 The Flame in the Flood is an unforgiving and immersive survival game where you’ll struggle to gain fleeting control of it’s deadly world while you journey through the backwaters of a forgotten post-societal America. You begin the game with nothing but a couple basic supplies, the clothes on your back and a backpack, given to you by your new canine companion “Aesop”. It is only a matter of time after that before you become well aware just how ill-prepared you are to survive. Even something we’d perceive as insignificant as rain causes your body heat to plummet and poses an early threat of death. You’ll have to scavenge supplies while avoiding the dangers of the wilderness such as poison ivy, thorn bushes and feral (equally desperate) wolves in order to endure. Success means the chance to adapt and rise a little higher up the games food chain by collecting raw materials to create tools and traps to take on future dangers. More importantly there’s a chance you’ll find the supplies you need to upgrade your raft that you’ll use to traverse the other main part of the game… the river. The river only flows in one direction and you and your raft just travel down it, dragged by its tides. You’ll be able to jerk sharply left or right to avoid the many obstacles in the river and failing to do so means damaging your raft and, very likely, an early death. Mishaps on the river early in your game will have you wishing much later you didn’t have to use your supplies on repairing your raft rather than upgrading it. Providing you successfully navigate down the river and its rapids safely you’ll be given occasional chance to dock with a range of areas and islands to try and scavenge more supplies. You’ll learn that each type of area offers its own rewards but also potential danger. Camps provide guaranteed camp fires, while churches guarantee a warm place to sleep the night and farms guarantee raw food to eat and collect. This said you may find a pack of wolves beside campfires or wild boars protecting the raw food you so desperately need to survive another day. You can craft weapons to fight them, and you can try to scare them away, but sometimes you’ll have to fee – to give up the territory to them, and hope that the next territory is a little kinder. Each visited chunk of land provides you with a chance to prepare yourself for the next and learn a little more about the game. You will eventually die during your first playthroughs though, mostly because its so easy to if you are unprepared. Unfortunately the game is structured in such a way that you can’t even prepare for everything either. Your inventory space is limited, food spoils and you simply cant be prepared for every eventuality in game. You are simply forced to live and play for the day and hope you made the right choices for the next. Due to this, luck and RNG plays a big part of the later stages of the game where being unable to face the heightened dangers simply means death. 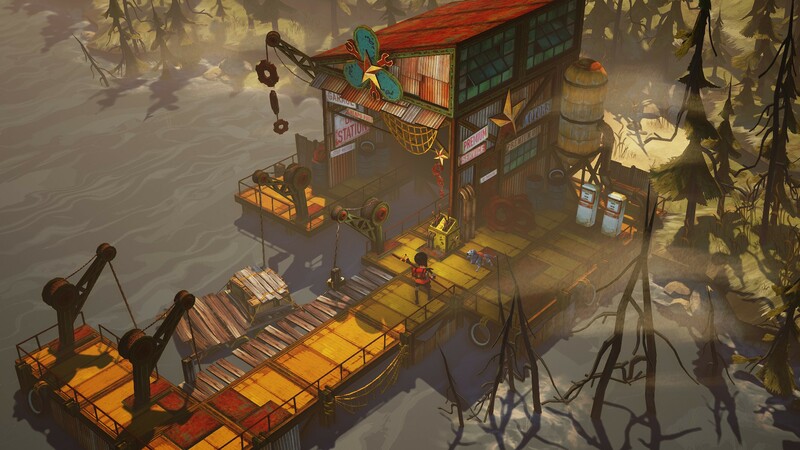 Death by hunger, thirst, cold, sleep deprivation, poisoning, infection, laceration or drowning in the river are just some of the ways you’ll die in “The Flame in the Flood” and when you finally kick the bucket only the supplies stored in Aesop’s small backpack will survive as he then passes them on to the next survivor he comes accross as you begin your new game. 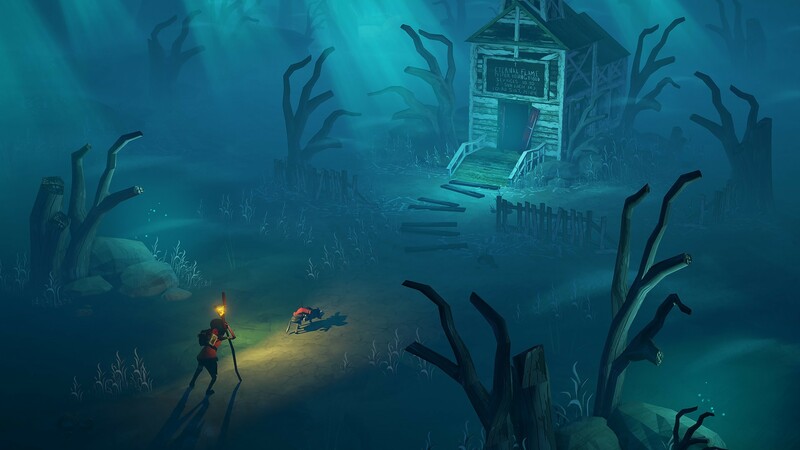 With this all in mind however “Flame in the flood” is a joy to play. 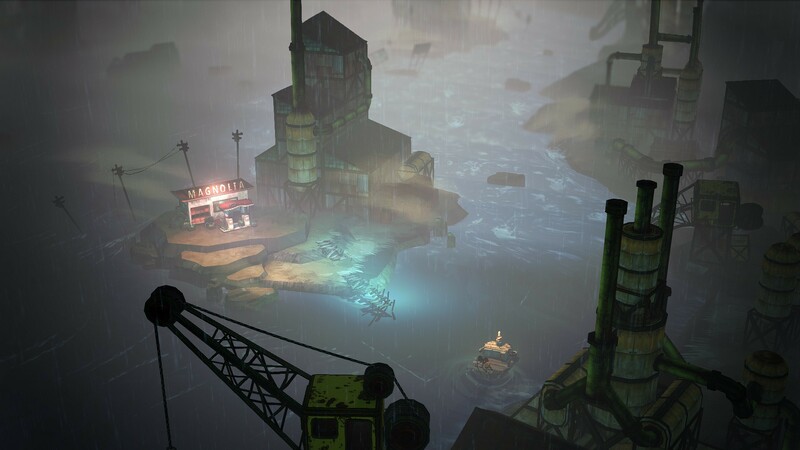 It’s art style is beautiful and it’s soundtrack lends to its truly immersive atmosphere. As you play there is a feeling of wonderment as you float to your next destination with the anticipation that your next stop might hold everything you need to survive the next few days as you uncover a little bit more knowledge about the world and how to survive in it. The Molasses Flood have created a true gem of a survival game and it has been a pleasure to play and review. You can purchase it at GOG.com which (at time of writing) is currently being sold with a 10% discount.